Best bed we have slept in for a long time. Very friendly owners. 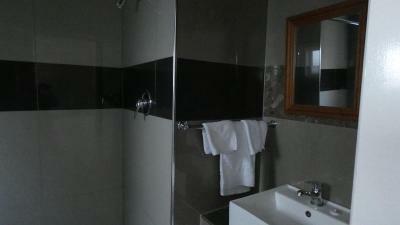 We were pleasantly surprised to be in a brand new motel room with new everything. We had an initial issue with the toilet flush but they changed a part in it for us without any fuss. A most accommodating couple. 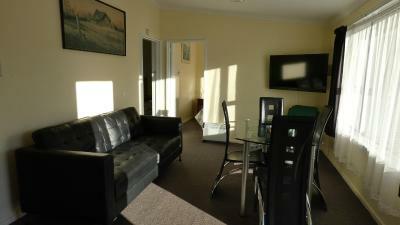 Comfy beds, quiet location and lovely sunny unit. The lady gave us the option of upgrading to a better unit for no extra cost because my mother was with me, and it was vacant, which option we took and we very happy. 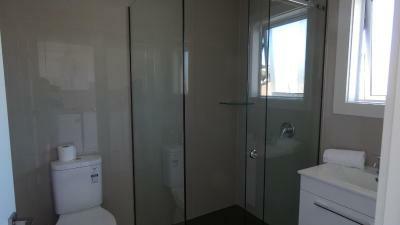 The 2 bedroom unit was spacious and sunny. The bathroom facilities had been upgraded to a new style. There was a fridge freezer of a decent size and a proper oven. I liked how many of the windows had security stays so could be left open. It was easy to get to and handy to shops etc. Clean and comfortable. Stayed in the handicaped unit (new) as a provider of Mobility products only needs a small access ramp at the front door, but they are user friendly. An enjoyable stay with 6 boys under the age of 14, comfortable , clean and very nice hosts would stay there again if I had the family , there is a big grass field across the road and school where the boys played basketball. Good fish n chips shop down the road and dairy and 5 mins drive to sth Dunedin. 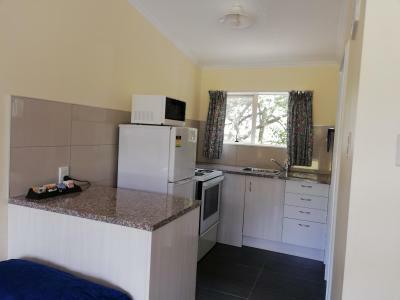 Bayfield Motels This rating is a reflection of how the property compares to the industry standard when it comes to price, facilities and services available. It's based on a self-evaluation by the property. Use this rating to help choose your stay! Bayfield Motels features a quiet location, a short 2-minute walk from Bayfield Park. It offers free parking on site and unlimited free WiFi usage daily. 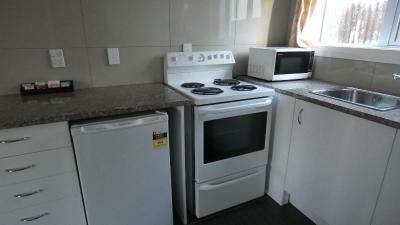 Heated guest rooms feature a full kitchen with a microwave, a fridge and a stove. Each room comes with a flat-screen TV. 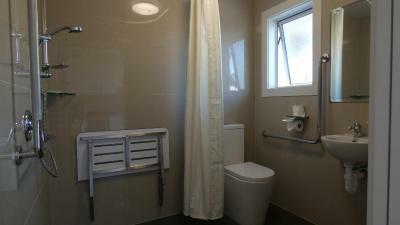 The private bathroom offers free toiletries and a hairdryer. The staff at the tour desk can assist with arranging local activities such as gold mining tours, penguin watching trips and sea kayaking. A guest laundry service is available. Guests can enjoy a continental breakfast in the comfort of their own rooms. 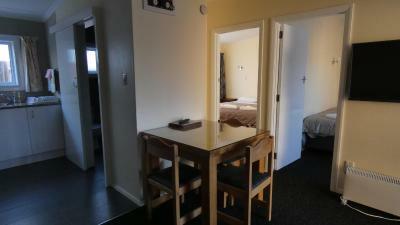 Motels Bayfield is within a 10-minute drive of Dunedin City Center and the Dunedin Train Station. The Dunedin Airport is a 35-minute drive away. When would you like to stay at Bayfield Motels? 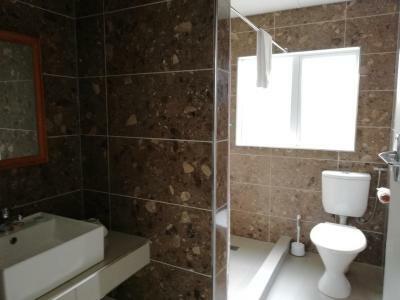 Heated apartment features 2 separate bedrooms, a full kitchen and a private bathroom. Comes with a flat-screen TV. 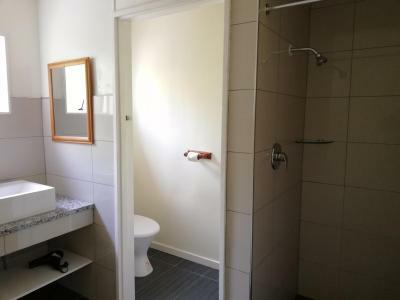 Heated apartment features 3 separate bedrooms, a full kitchen and a private bathroom. Comes with a flat-screen TV. House Rules Bayfield Motels takes special requests – add in the next step! Bayfield Motels accepts these cards and reserves the right to temporarily hold an amount prior to arrival. If you expect to arrive outside reception opening hours, please inform Bayfield Motels in advance, using the contact details found on the booking confirmation. Need to replace the mattress in the master bedroom, and also the fixtures in the rooms are very out-dated. 1st night we stayed in one of the old units. It was very tired and needed a lot of work done on it. Cleanliness was also not the best. Moved to one of the new units, was very comfortable but has too much furniture in it. Had 2 large lazy boy chairs which were not in a position that you could see the tv from and the tv couldn't be moved on the wall. Showered sprayed water out of the fitting above the rose!! Not that there was anything we didn’t like, but more they need to consider where people will hang their clothes and put their things beside the bed. I have no doubt they will have thought of this and already have plans for a wardrobe and bedside tables. Not finished. Grounds a mess. Large step onto platform. Decor was a little faded and the carpet could do with a spring clean, but as this motel was cheaper than others we were content. It was clean enough and smelt fine. Also sunny and quiet. Contractors working on the driveway - looks like they’re upgrading the place. The cost considering the motel was not finished. It lacked information both for the motel eg laundry facilities, motel rules and local information eg maps/take away outlets etc. Unfortunately our unit was right where plumbing work was being done - we had been warned but didn’t realise how it would be everyday and pretty much right outside the bedroom. Also listing laundry facilities but then using them all day to wash the motel laundry was pretty inconvenient. At least 1 machine should be reserved for guests. And the clothes line area needed a mow and lines restrung. The servicing of the unit was a little haphazard - not pre lunchtime like most places. 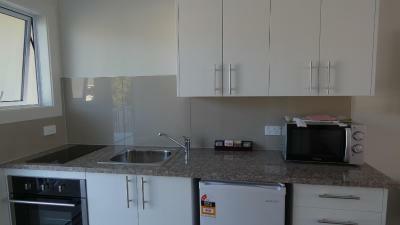 The kitchen could do with a few salad or mixing bowls and general implements to make it perfect for the size of room. (It was pretty good for group cooking in terms of plates, sharp knives and pots). It would be good to have a few extra blankets in the room. Perhaps two small tubchairs instead of the settee and then a small cupboard for the ironing board. I had no complaints when I got there I thought it looked run down it was because there was a new building going up in the front and I had meet with some long term stayers who were friendly.